Browse through up-to-date ardiner Heights real estate listings in East Regina below! Gardiner Heights is a residential neighbourhood popular for growing families and retirees. 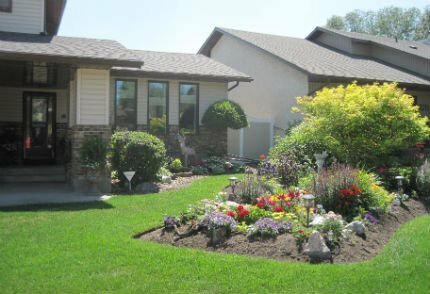 This neighbourhood was established in the 1980’s and is primarily single-family residences with double-car garages on fairly large lots with mature landscaping. The Gardiner Heights real estate consists of mainly Bungalows, bi-levels, two storeys, and two story splits. There are some condominiums from bungalow-style to apartment-style available in the neighbourhood as well. This community is located between Prince of Wales Drive to the east, Arcola Avenue to the south, University Park Drive to the west and Truesdale Drive to the north. Take a look at the Gardiner Heights homes for sale available below, or read more about this accessible, family-friendly East Regina community. Bike, jog, run or take a nice family stroll through Harding Park. The paved Pilot Butte Creek Pathway follows the creek south to the McKell Wascana Conservation Park. There are two small commercial centres located on Gardiner Heights east and west borders. Anytime Fitness will help keep you in shape over the winter months, or enjoy some of the best coffee and goodies at Brewed Awakening! Dance City offers classes to for preschoolers all the way up to adults. Are you wanting to provide your children with that extra opportunity to advance their math and reading skills? Kumon Math & Reading Centres located at 3125 Woodhams Drive E. provides learning programs designed to “advance your child’s comprehension and appreciation for learning – providing an edge throughout school. Kumon can give your child a lifetime of advantages.” Gardiner Heights has a lot to offer you and your family. If you'd like to learn more about the Gardiner Heights homes for sale, please contact the Tourney Group online or call 306-789-1700 to chat with a qualified & professional Regina real estate agent.